Disco Deviant have booked one of the scene's most prolific DJ/producers - The Revenge. He has produced some of the finest tunes of recent years and his extended remixes certainly do the bizzo. From the Ooft camp in Glasgow, The Revenge aka Graeme Clark has progressed from local DJ/Producer and blogger to an international DJ, showcasing his talents far and wide. His sets are usually a mixture of his own productions, remixes and edits alongside some stellar disco treats and deep house and Detroit flavoured delicacies. Reports from his gigs have been glowing, and unlike some producers, this guy is definitely a DJ first and foremost. This is a great chance to catch The Revenge on his Brighton debut, at Audio on Fri 16 April. He already has a string of bookings in 2010 including major festivals and a tour of Oz. Also on the bill is Pablo Contraband delivering his disco centric sound, compromising of disco and funk edits and originals with some classic house usually included in the mix. There is also a rumour;as yet unconfirmed, that the Wolf music guys will also be on DJ duty... quite a night. More details will follow early in 2010. We are very pleased to announce Greg Wilson's next Brighton date back at the venue that absolutely rocked last February. This should be another stormer. 100 Early bird tickets @ £5 each will be available shortly via RA. - The last event was a total sell out so grab yours quick. Cheers to you and Gina for a fantastic night on Friday hope you'll organise loads more everybody said it was the best night in years! We all loved it, I had mates down from Wolves and Manchester and they said they hadn't been to such a cracking do in years, especially not in Brighton, great music great people..more..more..more please!! That was just the best ever! I had such a good time, never wanted it to finish.. Well done you two for sorting it out. Hey Paul + Gina, thanks for organizing a great night! Greg Wilson rocked the place! Sibel and I try to follow him wherever he goes :) Thanks again.. Had a big smile on my face the whole weekend after an amazing night @Loft..
Just issued 100 Early bird tickets @ £5 each - available online only for now. Simply click through & buy your tickets and you will be guaranteed entry. These tickets are to collect at the door on the night. Nice deep housey mix from my fellow DJ & other half of Contraband DJ's. This mix is reflective of Rich's personal taste in HOUSE - enjoy. New Disco Deviance out soon! For Number 12 in the Disco Deviance series, Pete Herbert and Dicky Trisco cut, paste and rework two cracking disco trax into hot new versions which are ready to rip up the dance floor. 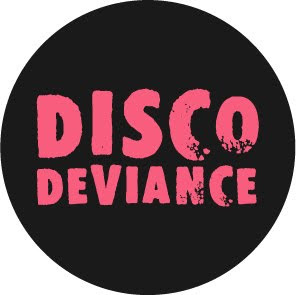 Both DJ editors have already delivered top releases on Disco Deviance, Pete with the wonderful ‘Don’t Let Go/Ivan’ package and Dicky more recently with his hot ‘Come To Me/Rip It Dub’ combination. This time around they kick things off with the discotastic, proto-house vibes of Sharon Brown’s classic ‘I Specialize in Love’. Dubbing out the original to the max, they rework it into a more stripped down, dancefloor-orientated version called ‘Doctor Love’, which holds back and works the floor more until finally letting loose with that joyful vocal. Meanwhile on the flip, it’s the strong grooves of Deborah Washington’s ‘Rock It’ which get heavily spliced, enhanced and overdubbed to produce a totally new take on this wicked cut called ‘Disco Rocket’. Both tracks are respectfully edited, lovingly re-mastered and cut at 45 RPM for maximum dance floor pleasure and DJ delight. Lindstrøm recently did a live mix at the BBC, you can listen to it here. The tracklist includes Bibio, Paul McCartney, Captain Beefheart, Jaga Jazzist, Frank Zappa, Chaka Khan, Funkadelic and more! Plus there's also an interview with him. You can only listen for a few days so hurry up!. 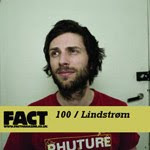 Lindstrøm was also asked to record a mix for Fact, number 100 in their podcast series to be precise, quite an honour! You can download the mix here. 3. Hall and Oates - Is It A Star?